Jacqueline Van Meter of StoryCorps leads her team in a discussion at a WVPB StoryCorps Listening Party in early October. The StoryCorps MobileBooth just departed Charleston and is headed to its next destination in Athens, Georgia. 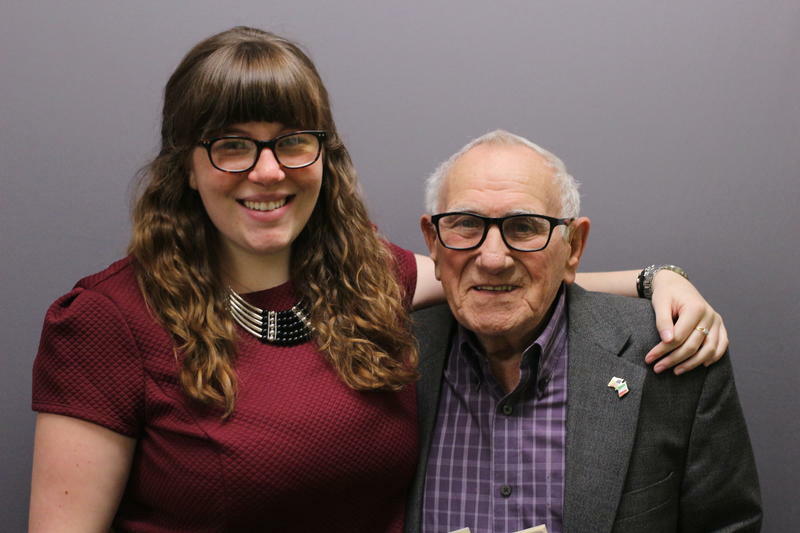 Fortunately, the StoryCorps team left behind a sizeable collection of great stories for WVPB to share with audiences. For a terrific sampling of the voices of Charleston, West Virginia, click the link below to hear a montage of interview excerpts prepared by StoryCorps facilitator Jacqueline Van Meter for a special listening party at the Clay Center for the Arts and Sciences in early October. Listen to a montage of stories from StoryCorps' visit to Charleston, West Virginia. Credit Jacqueline Van Meter of StoryCorps. Van Meter featured the following people in the montage: Bettijane Burger with daughter Renee Frymyer; William Laird with sons Liam and Conrad; Brothers Lorenzo and Miguel Caranungan; Covenant House colleagues Ellen Allen and Phil Hainen; Cousins Donteako "Don" Wilson and Dural Miller; Andre Leo Linsky with wife Maggie Linsky; Elizabeth Dinkins with friend and fellow river guide Kathy Zerkle; Paul Lauer with daughter Kate Lauer; friends Tim Albee and Danny McNeely; and Henry "Mac" M. McLeod with daughter Margaret McLeod Leef. Tune in to our Inside Appalachia broadcast or podcast, watch our social media accounts and check out storycorps.org in the coming months to hear more great stories from a diverse group of West Virginians who talked of life and death, love and loss, family and friends, as well as challenges and triumphs during their StoryCorps recording sessions.